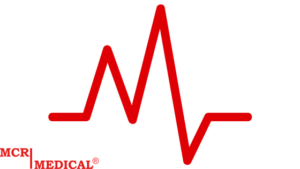 MCR Medical Blog » Are You Afraid to Save a Life by performing CPR? We understand these fears some may have but we also want to help alleviate some of the anxiety of jumping in and helping save a life. 1. Let’s start with the fear of “causing more harm than good”. The victim is essentially dead so anything you attempt in keeping them alive and blood flowing is not going to cause them to be any deader. This is simply the truth! very miniscule and all 50 state and the District of Columbia have some type of Good Samaritan Law which it’s protection is intended to reduce bystanders’ hesitation to assist, for fear of being sued or prosecuted for unintentional injury or wrongful death. I’ve included the Good Samaritan Law in my home state of Ohio to give you a better understanding of it. 3. Mouth-to-mouth resuscitation is a vital part of performing CPR and by having a CPR mask key chain you will always be ready. And remember, do not let the fear of disease stop you from preforming chest compressions. Not doing anything is not helping in these type of emergency situations! 4. In many public places you will find Automatic External Defibrillators (AED). Look around or have someone else find one and USE IT! All AED’s have simple instructions for users and give the patient the best chance to survive. Most sudden cardiac arrest and heart attacks do not happen around a medical professional. They happen around family, friends and bystanders! Learn CPR today. You never know whos life you may save. And remember to call 911 first! Next Next post: Rub-a-dub-dub, but don’t put that CPR manikin in the tub!